Cavalor Bronchix liquid is designed to help remedy a tickly cough, or to open airways prior to strenuous exercise. This would make it suitable for horses with intermittent allergies, or as an adjunctive to medical treatment for a respiratory infection, or for a competition horse with mild airway inflammation prior to competition. All Cavalor supplements are FEI safe. Cavalor Bronchix liquid is a blend of essential oils, including eucalyptus, lemon and rosemary, known for their therapeutic and soothing properties. The composition provides a fast result, with immediate relief, which not only makes it easier for the horse to breath but also has a beneficial effect on the entire bronchial system. It is not uncommon to see some clear nasal discharge when using this product. Dosage: 25ml twice daily for at least 5 days. (Maximum dose 100ml per day). This can be given straight into the mouth for an immediate relief from a tickly cough. 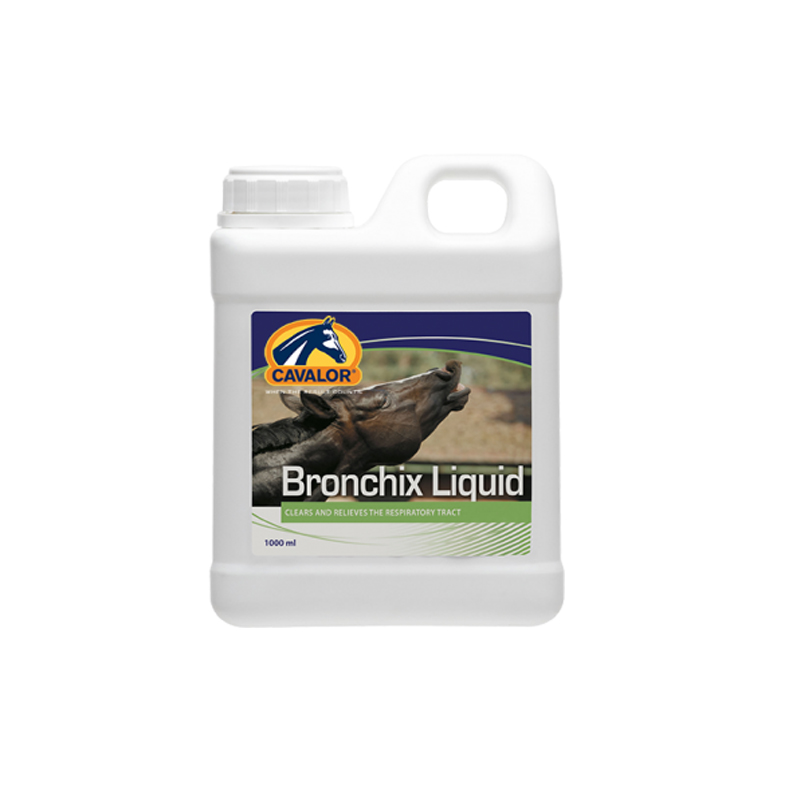 If your horse has a long term persistent cough then Bronchix Pure All in One would be more suitable.